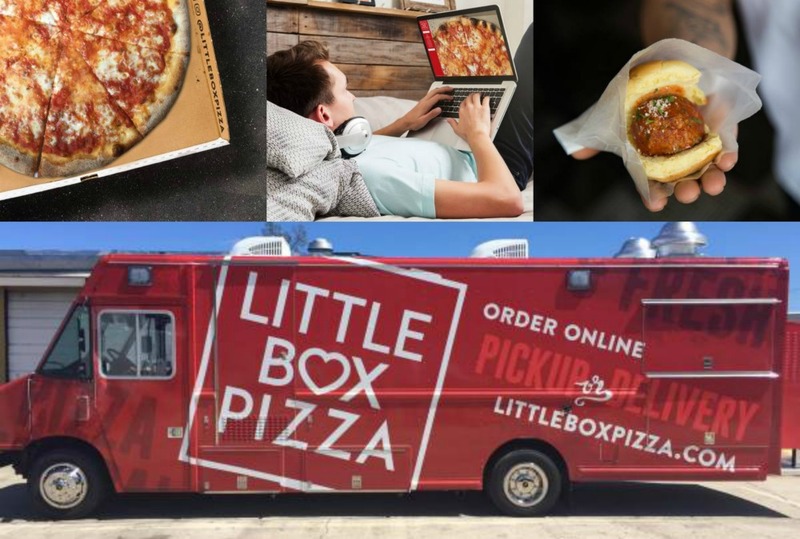 Just when it seemed consumers had seen it all in our local food scene, an innovative, socially conscious, quality driven pizza truck drove into town in the form of Little Box Pizza. In addition to authentic pizza made with honest ingredients and crafted-to-order, each mobile pizza kitchen is operated by a deserving, hard working individual who is being given a chance to make their future brighter. Founders / Restaurateurs Brad Nagy and Angelo Viscoso created Little Box Pizza based on their passion for great pizza and a big heart for people. As social entrepreneurs, the team has created a model for using the power of small business to solve social challenges and do good things for other people. Little Box Pizza was founded as a Benefit Corporation, scripting into the DNA of the company that it exists to pursue a social mission, not just a financial one. Other restaurants owned by this talented duo include:Frankie & Fanucci’s Wood Oven Pizzeria in Westchester County, NY; Sotto 13 in Manhattan; and il Fornetto in Brooklyn, NY. Little Box Pizza’s first location will be at the First Presbyterian Church of Stamford, referred to as the “Fish Church”, at 1101 Bedford Street. The concept is unique in that it’s a mobile truck which stays in one place, operating as a pizza kitchen from which orders are taken, pizza is picked up, or even delivered by a driver. Customers can order their personal or large size pies truck-side at the kiosk, online, or satisfy their pizza fix by ordering from Little Box Pizza’s mobile app. Brad and Angelo are thrilled to introduce Little Box Pizza’s first deserving Owner / Operator, James Gibson. What makes Little Box Pizza special (besides the people who make it) is the use of fresh ingredients. The whole-milk mozzarella on every pie is 100% natural and free of any hormones or bleaching chemicals. The sauce is a simple recipe of sweet Italian tomatoes, extra virgin olive oil, and basil. The dough is made fresh daily from a blend of finely milled flours. Create your own pie, from the sauce and the cheese, to the toppings and even finishes such as EVOO or a balsamic glaze. Or, experience one of Brad andAngelo’s favorites such as the “Carne” topped with sweet sausage, meatball, pepperoni, mozzarella and tomato sauce, or the “Shroom“ made with finely chopped roasted mushrooms and shallots, fresh ricotta, mozzarella, chives, and truffle oil. Meatball sliders, hearty salads, and fresh stuffed cannolis round out the menu. An early June launch is planned.